Sustut Provincial Park and Protected Area plays mainly a conservation role, providing habitat to mountain goats, grizzly and black bears, and caribou. It covers a large tract of virtually undisturbed land, providing representation of the moist cold Engelmann Spruce Subalpine Fir biogeoclimatic subzone. Established Date: January 25, 2001 for the park; and April 18, 2001 for the protected area. Stay Safe: There are no developed trails in the park. Access to the park is by air. There are no digital maps available at this time. History: Sustut Provincial Park and Protected Area was designated by the provincial government in 2001 following recommendations from the Fort St. James Land and Resource Management Plan. Cultural Heritage: The park lies within the asserted traditional territories of the Carrier Sekani Tribal Council, Gitxsan First Nation and Tsay Keh Dene Indian Band. Conservation: The Connelly Range and Hogem Ranges of the Omenica Mountains are protected in this vast wilderness area. The complex of mature, old-growth and wetland forests provide an excellent representation of the moist cold Engelmann Spruce Subalpine Fir biogeoclimatic subzone. Volcanic features such as fumaroles and basalt cliffs are found in the area. Wildlife: Mountain goats find high value habitat on the basaltic cliffs in the protected area, while large tracts of pristine wilderness provide habitat for caribou, grizzly and black bear, and stone sheep. Salmon and steelhead are found within the waters of the Atsitka and Sustut Rivers. 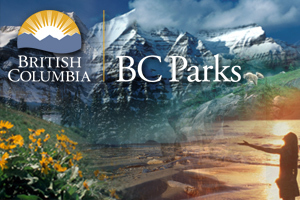 Approved Management Direction Statement [PDF] for Sustut Provincial Park is available online in pdf format.